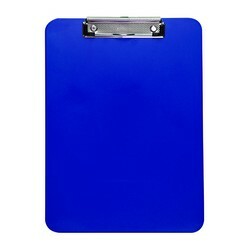 Thank you for your interest in our Clipboards. Please complete your details on the 'Quick Quote' form and click the Submit Button at the bottom of the page. 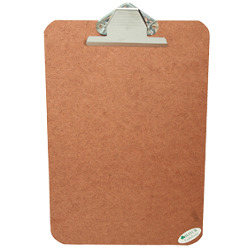 A customer service consultant will contact you about the Clipboards with a quotation. 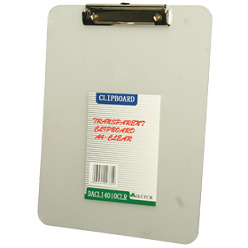 Reliable Masonite Clipboards, also available in oblong are made of very high-quality material and are durable and long lasting. 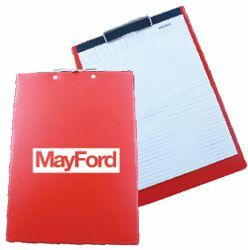 With strong grip, you don't have to worry about losing your documents and finding a hard surface to write on single pieces of paper. Various colors are available, you can choose and select a color of your choice from our wide variety. It will make your job alot easier.